The Ontario Biomass Producers Co-operative Inc. has adopted a central-desk selling system to make it easier for producers and buyers to connect. Another benefit of the central desk selling system is it makes it easier for producers “to have a place to sell their product into any of the markets,” Davis adds. The central desk selling system has been in place since April 1. Farmers must be co-op members to use it. 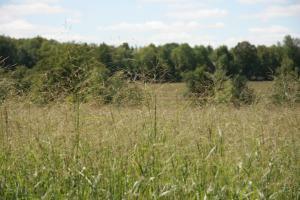 The co-op, formed in 2010, has 76 members across Ontario, growing switchgrass and miscanthus, also known as biomass. Biomass has been found to be a premium poultry and dairy bedding, Davis says. Research is also being done to explore replacing some plastics with biomass. And there is potential to make fuel from biomass. The check-off is a portion of a producer’s sales. Money earned from the fee will be used help pay for research into switchgrass and miscanthus varieties, market development and to run the central desk selling system. The biomass industry began after the Ontario government announced it would discontinue using coal as a fuel source for power plants. Opened in 1972, the Nanticoke power generating station used coal, and biomass industry pioneers were looking to grow biomass crops to supply that plant. The station, located on the north shore of Lake Erie in Haldimand County, was shut down in 2013. To keep the power generating station going “they needed an alternate fuel. Biomass was going to be the alternate fuel,” Davis says. However, the province decided instead to mothball the plant. Ontario Biomass Producers Co-operative Inc.